After resuming from a suspend, almost all text on screen is not visible. This includes menu items, text in all three boxes (list of folders, list of e-mails, e-mail body) in Thunderbird (with the curious exception of "ffl" in the File menu), top menu in Chromium (but not the menu obtained by pressing the hamburger button), and the menus produced by clicking items in the system tray. Also, the apport dialog had no text except for a few capital letters. If you are still experiencing this issue after upgrading to kernel 4.8, please share your system details in the comments. * Unity dash is not affected. * Skype is not affected. * Mousing over a button in a dialog correctly shows the text. Also, I have one example screenshot. However, the issue also affects the file selection dialog in Chromium, so I can't upload it now. 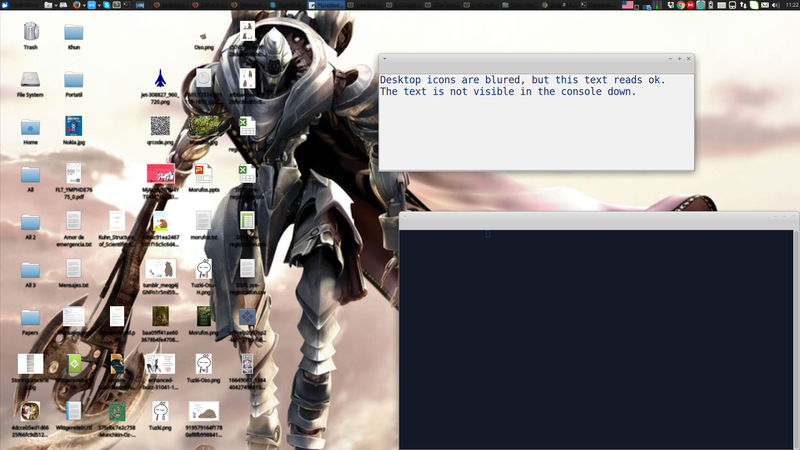 This also affects the menus in Document Viewer, as well as the entire screen of a terminal window. Unity button & scopes are unaffected. Also, all six of the tty terminals appear to be blank. The bug occurred again following a resume. Additional information about the applications affected has been added to the description. Set the COGL_ATLAS_DEFAULT_BLIT_MODE env var to a value other than "texture-render", which is the default. See comment 17 for technical details; the details he lists are consistent with what I played around with.. disabling 2D acceleration eliminates the bug but obviously that is not desirable. I tried setting COGL_ATLAS_DEFAULT_BLIT_MODE to framebuffer and performance seems to become poorer and I start having glitches when changing workspaces (in Awesome window manager). Not sure if that's a satisfactory workaround. Interestingly there are reports for similar issues dating back to 14.04 but I never had this problem until now with 16.04.
issues, and acceleration works fine. > but I never had this problem until now with 16.04. > dialog had no text except for a few capital letters. > * Unity dash is not affected. > * Skype is not affected. > * Mousing over a button in a dialog correctly shows the text. I'm having a similar issue. I found that switching to a virtual terminal and back again fixes the missing text in my case (Ctrl+Alt+F1 then Ctrl+Alt+F7). * Switch from "rgb" (="subpixel"?) anti-aliasing to "grayscale". * Uninstall xserver-xorg-video-intel to let the modesetting driver take over. * Ctrl+Alt+F1 then Ctrl+Alt+F7 (btw, characters in virtual terminals Ctrl+Alt+F1 to F6 are gone as well). What _does_ work is boot Ubuntu's 3.8.0-35-generic kernel rather than 4.2.0-36-generic or higher (don't have anything in between). But of course that's not satisfactory. Correcting the above: my latest available kernel without this problem is 3.19.0-32-generic. This still happens in Ubuntu 16.04, with kernel 4.4.0-34-generic #53-Ubuntu SMP Wed Jul 27 16:06:39 UTC 2016 x86_64 x86_64 x86_64 GNU/Linux. Me too. I have to solve it with logoff. VGA Intel driver maybe? To add to the confusion, logging in and out of X _does_ fix everything in X. The "real" terminals on F1-F6 are still invisible though. Getting this on a Dell XPS 13 also. Only noticed it after a resume from suspend. So far 3 people have posted their configuration, having the exact same CPU (or rather integrated GPU). With me that's 4. PS. I'm on Ubuntu 14.04, but -wily graphics stack. Uninstalling xserver-xorg-video-intel leads to X crashes after suspend, occurring at a similar rate as otherwise this "character loss" but. Obviously, that's no improvement. Similar bug for me too, with i915 driver but on HP Envy 6-1260sf (Core i5-337U) with Xubuntu. In the list of affected applications, we can add Thunar, xfce4-panel and whisker (xfce menu). Switching to VT-1 does NOT work for me, same for reloading xfwm4. 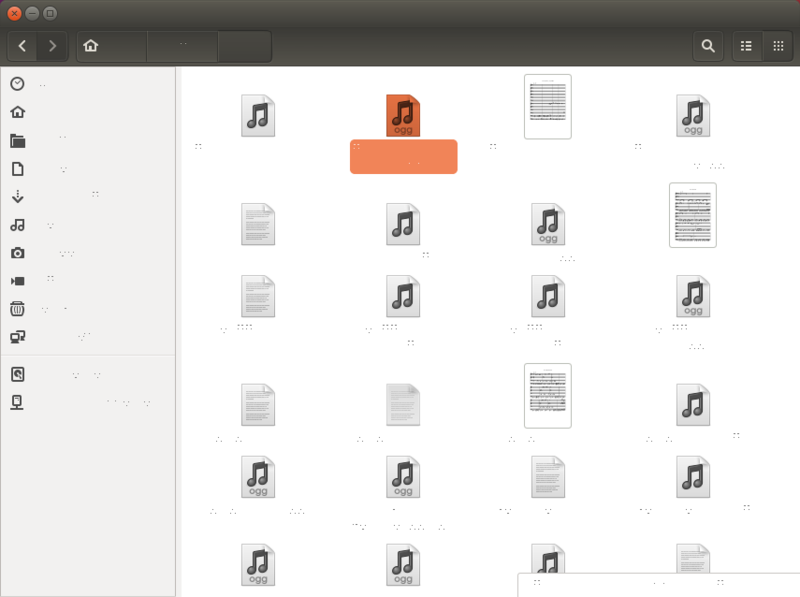 So Xubuntu desktop is unusable when the bug happens, and it is very hard to save work in progress because all browsing dialog are also affected. Loggout/loggin restore the font display, but all current unsaved documents are lost. The bug is only present after some suspend/resume but not always. Same issue here on multiple dell latitudes E6540 laptops in company (using Ubuntu 14.04.5). And it does happen after resuming from a suspend. Almost every open application is affected with distorted/missing letters. Looks like http://askubuntu.com/questions/584922/how-do-i-fix-fonts-not-rendering-and-missing-letters (intel driver issue?). Only restarting lightdm (or logging out and in again), fixed the situation. Same issue here, sometimes resume after suspend is fine but once every 5-10 times it results in missing text. Logging off and on helps, restarting too. I'm on a HP Elitebook 850. Same issue here, Lenovo ThinkPad T440s, once per every dozen suspends. Just use a recent kernel from http://kernel.ubuntu.com/~kernel-ppa/mainline/?C=N;O=D and you are set. It happened again for me as well. Macbook Pro mid/late 2013. I personally don't think the mainline kernel is a valid option, since it defeats the purpose of a LTS release. I've just encounter the bug since I add 'drm.debug=0xe' on the boot command line. I can confirm that the bug disappears after switching to a newer kernel than Ubuntu's 16.04 main one. 4.8.10-040810-generic did the trick. 4.8 works fine for me, too. All release candidates of 4.9 caused regular system freezes instead. Didn't test the final version of 4.9, though. Tested the final 4.9 kernel. If "sync to vblank" is active in ccsm it freezes the system at high cpu loads. ...but for all other settings 4.9 seems to be fine, too. Does anyone known how to reproduce the bug at every suspend ? I could test different kernel, if I could be sure on how to get the bug. seems to be fine, too. - and all is set. The only thing missing until now is the 1st step: Finding a way to reliably reproduce the bug. I’m too affected by that bug (some characters missing after 1 of 10 wakeup) since I’ve upgraded to Ubuntu 16.04 (didn’t had that bug on Ubuntu 14.04). As reported above, it's usually about 1 in 10 or so (or less) suspend-resume cycles. I hate to log out/reboot and lose my work state, so this is really frustrating. I can participate in some bug-test kernel cycles. Perhaps we don't know which commit in 4.8 resolves, but if we have enough people - we can do a wide-spread 'bisect' by tasking multiple people to test particular versions, and see if the issue arises over a period of a couple of weeks or such. This happens to me on 14.04 using linux-generic-lts-xenial. Issue is not consistent, every time I suspend and resume, but happens every week. Logging out from X session and back in solves the issue. This is the first time it happens to me. I just logged out from X session and back again as @Alvaro Uría and it solves the problem. I'm using Ubuntu 16.04 LTS, having same problem. Guys, as it was said above, the bug is fixed in linux kernel 4.8. I see this on my ThinkPad x230. I think it also triggers sometimes with docking/undocking. I did not have this issue on 14.04. My Dell Latitude E7440 (Intel graphics card only) experiences the same problem with Xubuntu 16.04 Xenial Xerus (issue was not present in Xubuntu 12.04, and I didn't tried intermediate versions) I tried several workarounds but none seems to work this far. That was the latest update available in the repo at the date. It installed successfully. After reboot the Xorg process was using >80% CPU and the computer was even more sluggish than a Windows Vista running in an Intel 80386 (5 seconds delay for a typed char to appear on screen in console). There is no need to be an Ubuntu expert to conclude that just updating the Kernel is not enough to solve the problem. Maybe I'm missing some extra configuration or also the X-Server/lightdm daemon must be updated accordingly. Also I'm differentiating Xubuntu from legacy Ubuntu because it affects Xfce and Unity. I was affected by this issue in 16.04 with kernel 4.4 but it seems to have gone away since upgrading to 4.8; it's hard to tell because it is apparently impossible to reproduce on demand, and only happened maybe 1 in 10 times for me after resuming from suspend. @kyordhel: I am not sure that specific package is enough to fully install kernel 4.8; you should try installing the linux-generic-hwe-16.04 package which will give you the latest 4.8 kernel plus all necessary dependencies - for example if you did not install linux-image-extra-4.8.0-29-generic you may well be missing some modules that are required for decent desktop performance. It's been 2 weeks since I upgraded from 14.04 kernel 4.4 to 16.04 kernel 4.8 and I haven't had this issue again (which it happened at least once a week). thats maybe out of the scope of this discussion. For some reason I had a similar problem but when I switched my antialiasing from grayscale to rgba (through unity-tweak-tool) it was fixed. Downside is I have a low-res monitor so text looks slightly colored. I've encountered this multiple times on my System76 Galago UltraPro, Ubuntu 16.04, kernel 4.4.0-72-generic. It's been 50 days since I upgraded from 16.04 kernel 4.4 to LTS Enablement Stack kernel 4.8 and I haven't had this issue again. If you are still experiencing this issue after upgrading to kernel 4.8, please report back. I eventually gave up on it and switched to using hibernate. If these work for you there are instructions online for removing suspend from the GUI menu and adding hibernate. Going to test the workaround and install Kernel 4.8 and will be reporting back. As stated in #94 after changing from the Ubuntu Kernel to the HWE-Kernel , i haven't experienced this bug anymore. In the Terminal application some letters was appear. I've select text area with mouse, copy and paste in text input of this topic. In the browser letters are visible permanently. In Terminal application if I select text (invisible) with mouse and moving mouse horizontally along text line while left mouse button is pressed, then text appears after mouse pointer. Still an issue. Text on pages in Firefox and text in Qt applications (for example, TortoiseHg, VirtualBox), Sublime Text not affected. 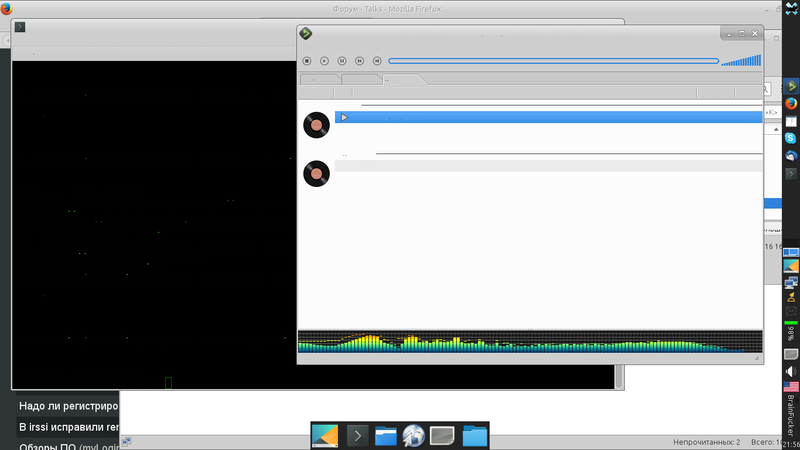 Workarround on LXDE, by using lxappearance and select another theme fixes the issue momentary.